With holiday season quickly approaching (before you blink it’ll be Black Friday), there are so many things to keep track of: gifts, dinner parties, new book releases, and it can be overwhelming. 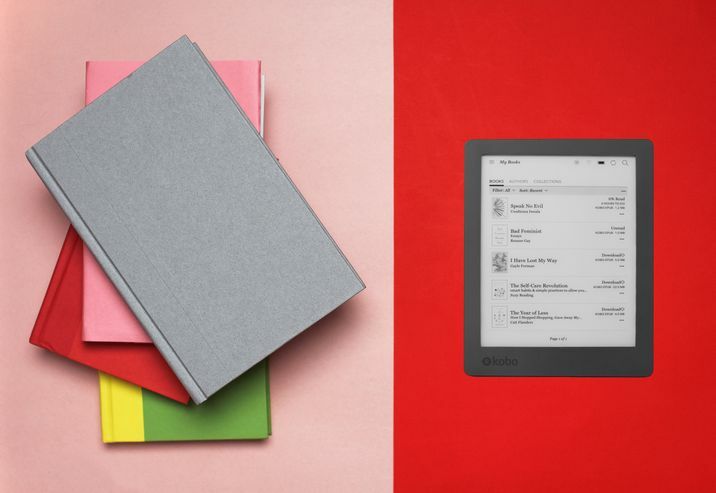 Whether you’re an organized bee or a “fly by the seat of your pants” type of person, the Kobo Wishlist is a great way to keep an eye on the books you want to read, the books you’ve always meant to read, and the books you’re waiting to go on sale. While shopping for an eBook, tap on the book cover you're interested in. The book's detail page will appear and show you a book synopsis, reviews, and other related books. Tap + Wishlist beside the book cover and voila it will be added to your Wishlist. Go to kobo.com and search for the eBook you want to read. Click on the heart icon. The items will be added to your Wishlist and they will all appear in the “My Wishlist” menu. The Kobo app for iOS does not support Wishlist due to an agreement between Kobo and Apple. If you use an iOS smartphone or tablet, you’ll need to purchase items on kobo.com. How do you do that? See above. Tap the Kobo Books app icon. Tap the cover of the eBook or audiobook that you're interested in. Scroll down the page slightly and tap Add to Wishlist. A confirmation message will appear at the top of the screen. You’re all set. If you experience any difficulties, send us a private message on our Facebook page and we'll be happy to help. Happy Wishlist’ing!